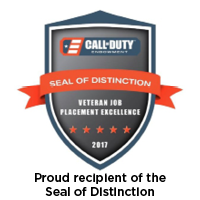 Providing Military personnel, Veterans and their families with the tools and support needed to achieve successful civilian careers. Transitioning from military to civilian life can be challenging. Operation GoodJobs assists Military and Veteran families with job training and placement services by providing individualized, holistic plans to help each participant succeed. The plan serves the needs of the whole family with the goal of achieving job placement, retention and long-term financial stability. We serve transitioning military members, Reservists, National Guard Members, Veterans of all eras and ranks, military and veteran spouses, and dependents under 25 living with a veteran or military sponsor. All events will be at the American Lake Conference Center, Lewis North, JBLM, from 10:30 AM – 1:30 PM (exhibitor set up will be available at 9 AM). Goodwill’s quarterly Networking Events, sponsored in part by The Boeing Company, offered each quarter provide more than 300 transitioning servicemen, family members and area veterans networking opportunities with more than 70 employers and 14 veteran service and training organizations in the region. In addition to providing access to multi-state private sector and government employers, the event features access to Goodwill Veteran Services staff for on-the-spot resume and LinkedIn review, and additional training and job placement services. Getting started as an employer is easy and free! Contact Goodwill and meet with a professional business development program manager to customize a plan that meets your employment needs. Goodwill is honored to be a 2018 grant recipient of the 2nd annual VetsAid concert benefiting our nation’s veterans! Joe Walsh’s organization graciously raised money with a concert that took place on Veterans Day in Tacoma, along with helping us host a hiring event. We are so grateful for the turnout, for the support of Joe Walsh and friends as well as the confidence & support from National Association of Veteran-Serving Organizations.